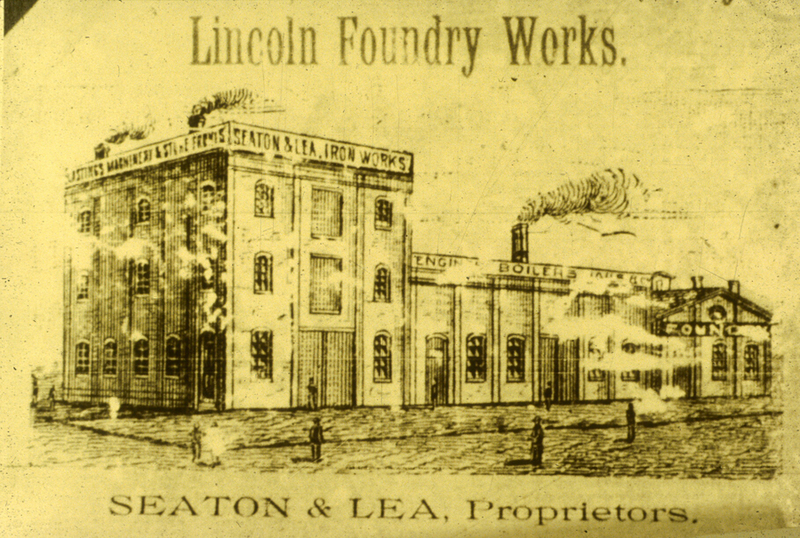 Seaton & Lea Ironworks of Atchison and Topeka, Kansas established its Lincoln Foundry Works in 1881. 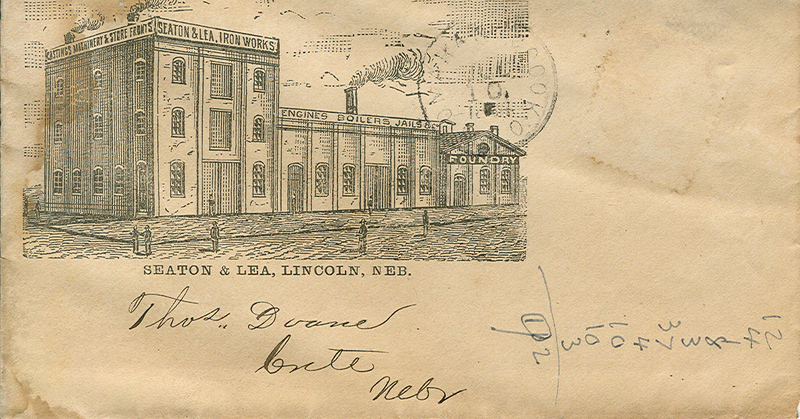 Their complex included a single-story foundry, ovens and shed to the north and this three-story machine and pattern shop and warehouse on the corner. 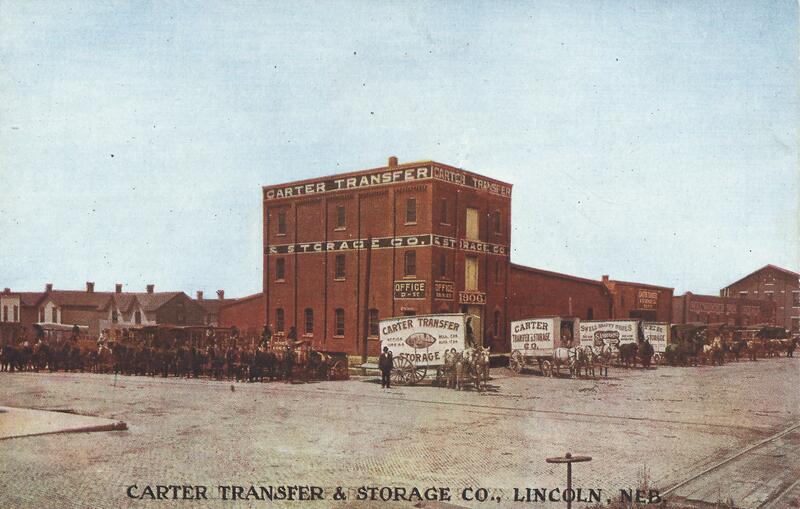 Although the Lincoln operation was short-lived, closing by 1887, its products survive in the cast iron storefronts of several Haymarket buildings. 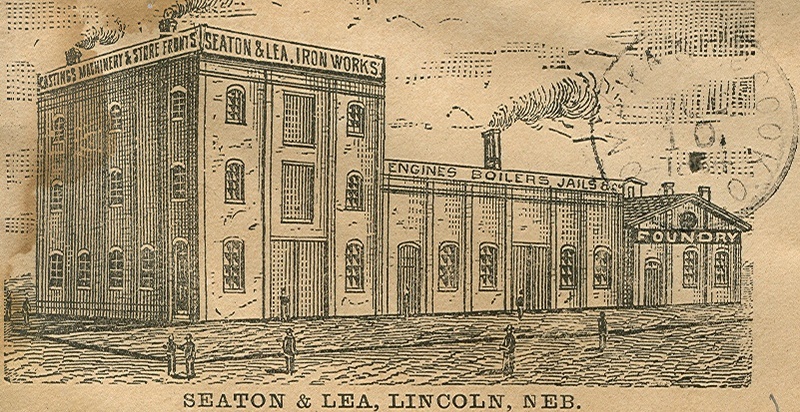 As you visit buildings on P and O Street in the Haymarket, look for the Seaton & Lea trademark at the base of the storefront columns. On their own building, the ironworkers displayed their wares in the nicely molded window sills on the lower stories of the 8th Street front, and the ornate iron lintels above those first floor windows. The large windows at the center of the upper floors facing 8th Street were originally doors, with a beam and pulley above for lifting loads. The wooden freight doors still survive, swung open within the building.